Gods lick their fingers after they take delight in ambrosia. We mortals, content ourselves with an amazing product of nature: honey. But have you ever put yourself in the bee’s place when collecting honey? Believe me, they do not enjoy themselves in these moments. Wouldn’t it bother you that after you worked so hard to prepare your food, here comes a giant and throws you out of your house, empties your pantry, and also produces some damage to you? Recently, there was an invention made that changed things. Of course, it still leaves the bees without honey, but they escape the stress and damages. It’s a great invention that could revolutionize beekeeping. Is it attractive enough to read further? But that’s not all! Wait until you see what an incredible turn the story took! 1 Why Man Sets His Desire to the Bee’s Honey? 4 From Whom Comes the Change? 7 With What Changes the Current Situation? Why Man Sets His Desire to the Bee’s Honey? Honey… It’s a delicious food that looks good and is extremely healthy. Of golden-yellow, viscous, and sweet taste; specifically, honey seems predestined for kings and emperors of glorious days. Of course, honey can be consumed as such. But in some regions (particularly the Middle East), it is used in various dishes. 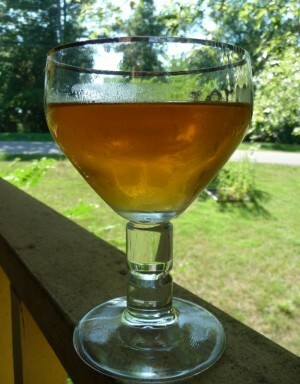 You can make drinks from honey, too. I do not mean just ordinary lemonade, but the mead. It is the oldest fermented beverage, even older than wine. 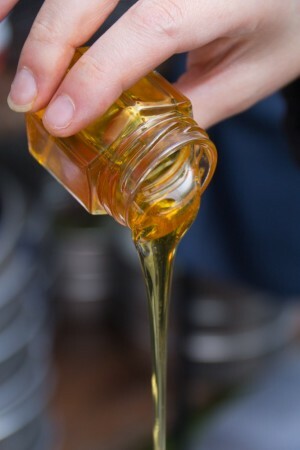 Honey not only tastes great, but it is also used in many herbal treatments. For example, pure honey, without being mixed with anything else, is known as an excellent remedy for cough 1)”Healing Honey: A Natural Remedy for Better Health and Wellness” by Dr. Lynne Chepulis, book published by Universal-Publishers in 2008 and republished in 2011 . Curative effects of honey are known before 2000 BC. Since then, the most ancient of documents date back, two fragments with medical indications written in Sumerian 2)”The World History of Beekeeping and Honey Hunting” by Eva Crane, book published by Routledge in 1999. But they are not an exception: honey treatments were known both within Africa and Asia. Most likely, all the great people of this time used this edible “gold”. Since honey already tastes so good, there is no need for any processing; honey has been consumed since the Paleolithic times. 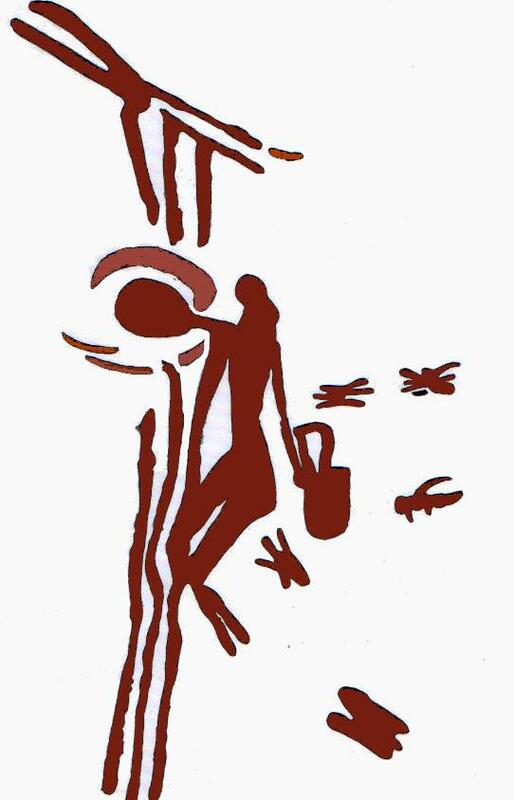 The proof is in some cave paintings dating from the Mesolithic, such as the Spider Cave, in the current eastern Spain 4)”The World History of Beekeeping and Honey Hunting” by Eva Crane, book published by Routledge in 1999. At first, people were picking combs of honey directly from tree hollows, where they were nesting. However, these insects are not usually the type to admit defeat to such a robbery, the retrievers were stung in a fight to the death (the bees sacrifice their lives when stinging and the uninvited guests risk the same fate, especially if there are numerous stings). Tired of bee stings, people searched for solutions. They didn’t even think about the option of giving up the delicious honey. Especially seeing as there was no competition: candy, chocolate, eclair, Savarin, caramelized sugar cream… should I stop?! First, they tried to avoid the problem by choosing specific nests of certain wild bee species that did not sting. But when the demand is so high, you cannot limit yourself to that. Scaring the wild bees from the nest proved more effective. At first they tried water, then with smoke. Such practice is seen nowadays, especially in some areas of Africa and Asia. As with other creatures, people got the idea to tame the bees. In northern Israel, 30 hives have been discovered, dating back to centuries X-IX BC. Beekeeping has become more than a mere occupation. In ancient Greece, all great scholars wrote treatises in zoology, biology, medicine, and cosmetic about the qualities of honey and how it could be used. In Herodotus’ histories are some of the earliest references to bees. It seems that the Geto-Dacians were passionate about them. Greek sage learned from the Thracians that north of the Danube were so many bees that they did not dare to go there. Bees make honey in their hives. Take it and that’s that. That was in the beginning. Bees were chased and the beehives were barbarously destroyed. But bee products have brought about so many benefits to people that more and more have fallen in love with these little flying creatures. Literally! So they tried to replace robbing them with a collaboration. 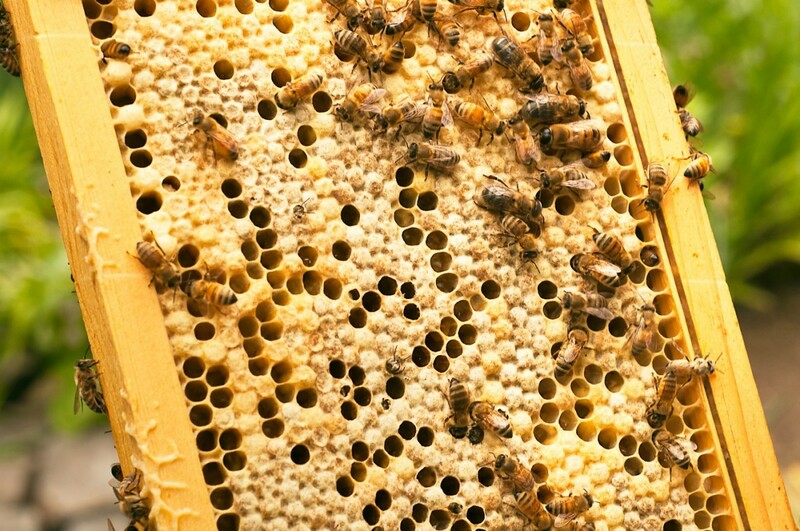 Bees are cared for in return for their products. After various attempts to achieve efficient hives in terms of beekeeping, a solution was reached with a hive with moveable panels. This has the advantage that allows the beekeeper to intervene in the hive as needed without damage. The oldest of the idea is found in the book “A Journey into Greece” by Sir George Wheler, published in 1682. The author recounts how brilliantly the beehives were made at the monastery of St. Cyriacus on Mount Hymettus from Attica 5)”Bugs in the System: Insects and Their Impact on Human Affairs” by May R. Berenbaum, book published by Basic Books in 19966)”The World History of Beekeeping and Honey Hunting” by Eva Crane, book published by Routledge in 1999. The monks found a gentler way to handle the bees. The idea was refined, until Lorenzo Lorraine Langstroth, called “the father of American beekeeping,” designed a frame model with many advantages. The patent of this invention is dated October 5, 1852 7)”Beehive” – Patent granted to LL Langstroth on October 5, 1852. This moment is considered a revolution in beekeeping. Langstroth frames, named after the inventor, are the most used worldwide, even today 8)”Honey Bees: Letters from the Hive” by Stephen Buchmann, book published by Ember in 2011. Can you imagine that for a century and a half no one has found a better solution?! The smoker is another important invention. Simply calms the bees, it temporarily induces a state of confusion. Thus, the beekeeper can do the job without the bees pouncing on him. Moses Quinby, the first commercial beekeeper in the United States, is considered the inventor of the smoke box. That was back in 1875 9)”Keeping Bees: Looking After an Apiary” by Vivian Head, book published by Arcturus Publishing in 2011. We could put in the list of patents the protective suit, too. In particular the hat with veil is important because the bees tend to stick the needle where they feel the breath. So was done with the chasing by the swarm of bees of the one who wants to harvest the honey. Other inventions and innovations have also been made in the field. For example, some traditional materials have been replaced with more modern ones. Matters of detail were optimized. But for a century and a half, there was no remarkable change. From Whom Comes the Change? 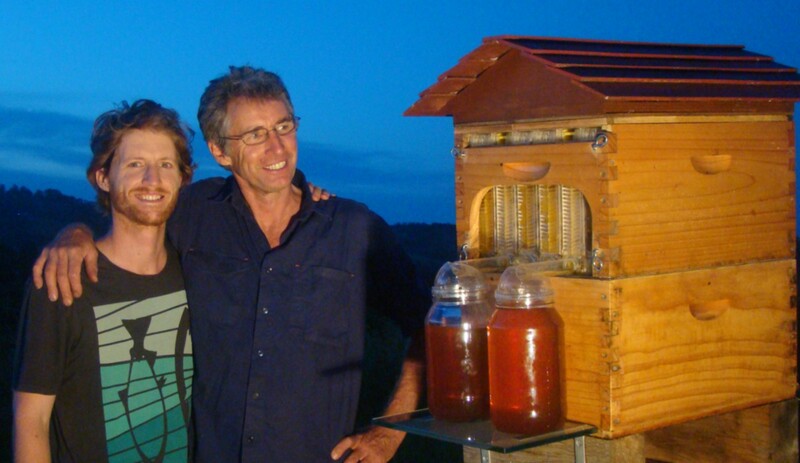 Anderson Family from Australia came in the third (even fourth) generation of beekeepers. Stuart and Cedar took care of bees for a lifetime. It seems that young Cedar is naturally compassionate. It seemed too much barbarism in beekeeping, to him, even the modern one. So he had an idea in the most unpleasant moment in the life of a beekeeper: when he collected the honey. Armed with a smoke box, dressed with that special outfit, which had a missing a glove, Cedar befogged the bees, literally. Then he lifted the lid of the beehive and the war started. Insects were nervous and, after another round of smoke, they tried to enter in his costume. During this time, he was trying to remove the frames with honey, although he was sorry to crush some bees. In such a moment, Cedar was moved by an endless mercy and decided that the war must end. Together with his father, for ten years, he worked on a way to collect the honey easier than today. Their dream was, literally, a faucet from which to flow the royal food in its purest form. The idea was to create artificial honeycombs, which can change their shape, honeycombs where the bees to store honey. After several failed prototypes, Stuart and Cedar find the right solution. To the surprise of both, insects accepted well the invention. They added some more elements and honey collection problem without disturbing the bees has been resolved. Father and son have created a prototype and they offered for testing to a number of manufacturers and major institutions. Then, after they were convinced that the product is good and there is demand, they decided to take it out on the market. 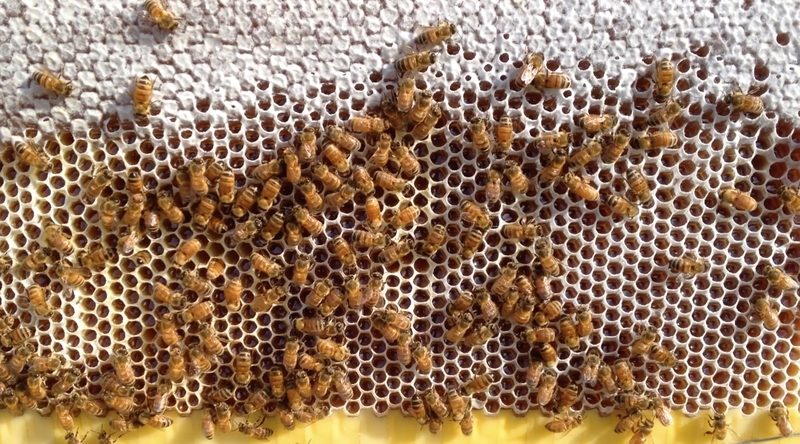 As you know, the bees build their honeycombs from wax, in the form of adjacent hexagonal cells. With this invention the situation changes slightly. The frames have a honeycomb formed partially sitting on a transparent framework. Bees filled it consciously with honey and they complete the form. How long he does not like “extreme sports”, their master is content to put a handle on top of the hive, which through a simple twist changes the form of the honeycomb. Hexagonal halves are moved slightly vertically. The movement turns the hexagons in meandering channels. Under the action of gravity, the honey is flowing alone in a sewer and from there flows into the jar, using a tube. Finally, through the reverse movement of the crank, the honeycomb is again hexagonal. Bees can return to work. 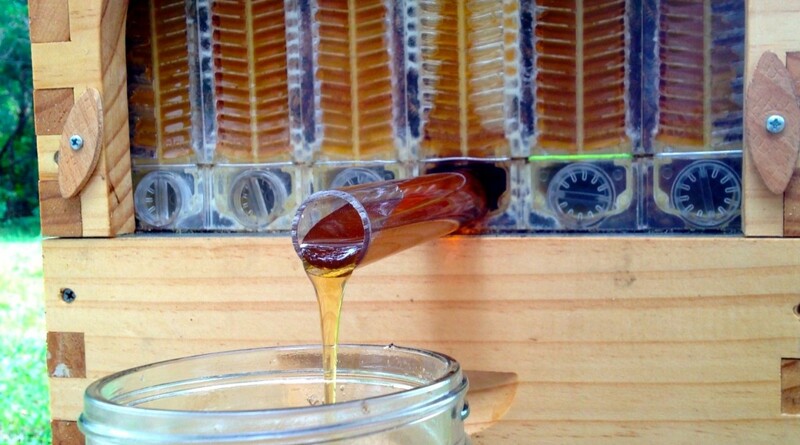 So, you spin a crank and all the honey from the beehive drain directly into jars. Something so amazing no one else even dared to dream! The mechanism is simple as possible, reliable and has a good appearance. There have been enough testing to know that many product details, including how the bees accept it, or what it tastes like the honey. Several were asked to test it. Even among those with authority in the field. You have an invention in which you believe and you want to take it out on the market. But to start your business, you need financing. The first thought is to go to the bank. But you want to do something never done before. You can imagine the official nod puzzled. And then what? What does an inventor? He takes a less trodden path. Stuart and Cedar Anderson needed $ 70,000 to start mass production and to develop the product. Instead of beating the roads, seeking the financing required, preferred to try a campaign on the website Indiegogo. That is crowdfunding. They placed the ad and described in detail all the history and details of the device. As is customary in such campaigns, they have offered incentives to those who pay significant sums. In this case, even the new products. More specifically, the promise that they will receive the products over about a year, when it is planned to start production. Presentation of the invention is exemplary. Everything points to the care of the two inventors for details. People who like things well done. With such a presentation, you know in how much time they raised the $ 70,000 proposed? In a few minutes! It seems that the war between bees and humans was so obnoxious that in the first 24 hours they collected 2.18 million dollars 10)”Flow Hive, a Gadget for Beekeepers, Sets New Crowdfunding Record on Indiegogo” by Carly Okyle, article published in Entrepreneur on February 25, 2015. Money flowed into their account better than the honey in the jar! In less than a month, the amount reached $ 6 million! And if you analyze, you’ll see that most of this money are offered as a donation. Simply people love the idea and brought pennies from their pocket for that. For a hundred times more than the inventors hoped! The campaign for Flow ™ Hive is the most successful for a project that originated outside the United States. And this for an idea that even the initiators were not expecting to catch wings more than a bee. With What Changes the Current Situation? 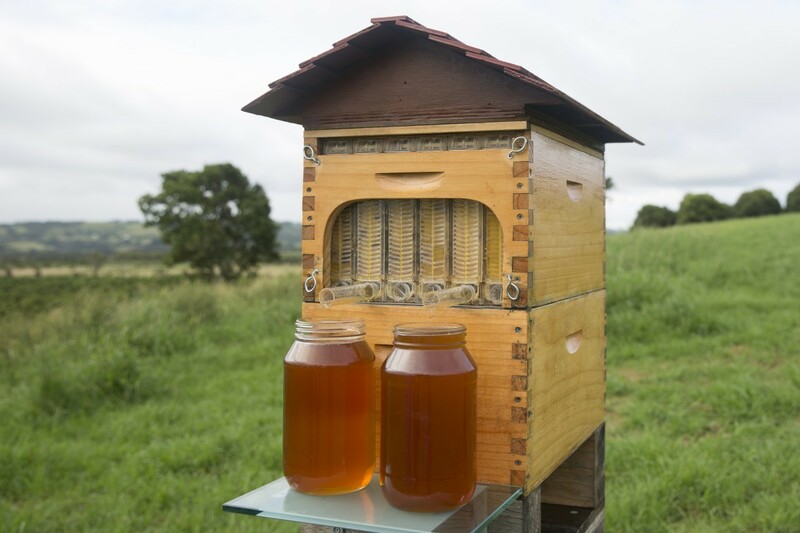 Flow ™ Hive is the most important invention in the construction of hives from Langstroth frames, in 1852. Some even expect to revolutionize beekeeping. What do you think might happen if the thorny problem area is resolved? The job is easier for beekeepers and more gently for the bees, more people will be willing to deal with hives. Competition will increase significantly, and therefore honey production, leading to lower prices. Which’s good for the consumer, but less good for the manufacturer. On the other hand, the bees help plants to reproduce. If these hardworking insects multiply the entire agriculture and nature will live better. But perhaps the most important change brought by the two is in the hearts of those who, like them, have a dream to make this world a little better. Respect for being, even as a little bee is rewarded in some way or another. The Internet makes you heard if you have something to say. Dare! We thank the team that handles Flow ™ Hive for the images showing the invention and inventors necessary to illustrate this article. 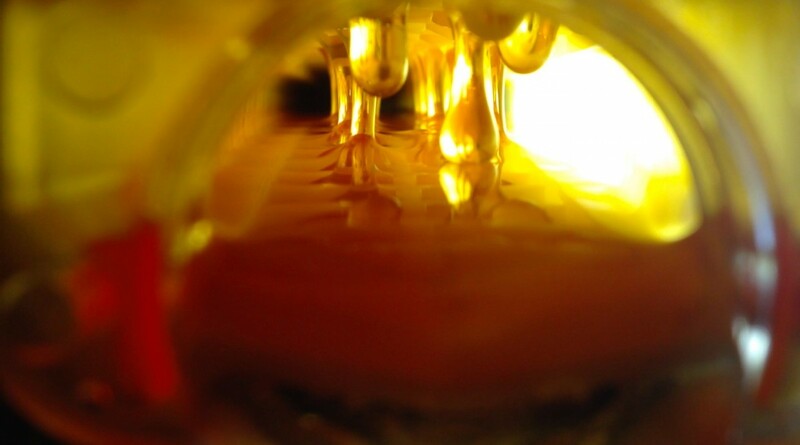 More information can be obtained from the official website: Honey Flow. Andreea Iovita has many achievements in the art of writing, from a blog featured on TV to a book about female motorcycle riders.